Optus is one of the biggest telcos in Australia, and therefore has one of the most comprehensive ranges of iPhone plans in Australia. Plans for the latest iPhone XS and iPhone XS Max start at about $75 a month, but there’s a lot of content beneath these digits. Expect bonuses like included Optus Sport, data bonuses, data-free music streaming and unlimited national calls & texts. However, how much are you willing to pay to get the latest tech? Find out as we compare Optus iPhone plans. All of the below plans can be bundled with your choice of iPhone, and apply to both standard two-year plans and Optus’ My Plan Flex lease options. The below plans don’t include what you’ll pay each month for your phone, but more info on pricing for each iPhone is available below the table. 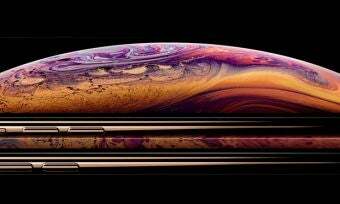 The newly-announced iPhone XS doesn’t come cheap, but if you’re looking for a long-lasting premium smartphone it’s worth the investment. Optus is one of the three major telcos to offer the new iPhones on plans, and gives buyers a choice of a traditional two-year contract (My Plan Plus), or a two-year lease deal (My Plan Flex). Prices begin at $75 per month for your phone and plan combined, up to $125 monthly or more. Optus throws in a bunch of extra goodies on its postpaid plans, including data-free sport and music and international extras – more info on Optus’ iPhone XS plans is available here. The XS Max is the bigger, pricier brother to the iPhone XS, and prices begin at $95 monthly on a two-year lease plan. Leasing is $10 cheaper per month, but you do need to hand back the XS Max at the end of your two-year agreement; therefore, it may not be the best option for everyone. Plans for the XS Max include data of 4GB per month and up, plus streaming extras and overseas calling and roaming. More info on Optus’ iPhone XS Max deals can be found here. The just-announced iPhone XR is available to pre-order from Optus, with prices beginning at $60 monthly to lease the 64GB phone on a 24-month plan. You can also buy the XR on a standard two-year contract, from $77 per month (including both your Optus plan and phone payment). Plans include all the extras you’ll find on Optus’ iPhone XS options, including bonus data, music and sports streaming, and international features. Data allowances from 4GB to 200GB. 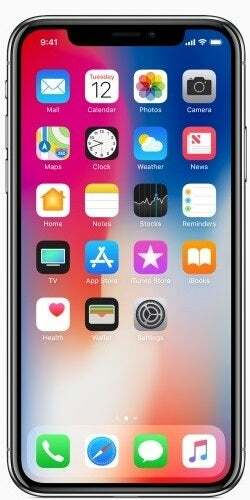 The iPhone X is the crown jewel in the Apple iPhone line-up – an object of aspiration and a high price tag. Optus, perhaps surprisingly, has one of the cheapest starting prices for the iPhone X, but also has a massive 200GB plan priced at $125 per month, plus phone costs. ‘Flex’ lease plans tend to be about $10 per month cheaper and may include extra data. Luckily, for iPhone X customers, Optus throws in extra perks like unlimited international calls & texts, data-free music streaming, included Optus Sport (so you can watch EPL soccer) and more. For a larger screen size you’ll probably have to go for the 8 Plus, which is 0.3” larger in screen size than the iPhone 8. Luckily, plans start at $80 per month; to get the 200GB plan, you’ll have to spend a minimum of $110 per month (on Optus’ current double data $105 plan). For premium phone plans you can expect a premium price, but Optus makes up for it with the usual included goodies such as Optus Sport, unlimited international calls & texts, data-free music streaming and more. The base iPhone 8 handset is probably at a price a lot more suitable for a lot more people, and Optus has some of the cheapest iPhone 8 plans out there. Starting from $55 however, prices quickly climb, but best deals are usually found on ‘Flex’ lease plans. Optus Sport, data-free music streaming, international calls and more are included. 200GB plans start at about $105 per month. The iPhone 8 is at a price a lot more customers can probably afford, but prices can still be well over $100, though 200GB for just $105 a month places Optus at the top of the pile as far as data-for-dollars goes. The iPhone 7 series can be a great buy, especially when the iPhone 8 and X are already out. Optus kicks things off with prices starting at $75, with many plans under $100 – markedly cheaper than 8 or X plans. The cheapest plans may not get all the goodies, like international calls and roaming, but plans over $85 per month and up should have these extras included. The iPhone 7 series may be a lot more accessible to many more people and, for those not concerned with the latest tech, can be a suitable iPhone for those wanting to launch into the Apple range. Data allowances from 4GB to 100GB. The iPhone 6S is still a popular phone, even though it’s about two generations old. This could be due to the fact it still has a 3.5mm headphone jack – something later series lack. Like plans paired with more expensive iPhone models, the options for the 6s still include extras such as Optus Sport and data-free music streaming. 200GB plans start at about $105 a month, but ‘Flex’ lease plans are absent from the 6S plan range. Users looking to save a buck or two and retain their headphone jack may like the look of a 6S plan, and this is one of the few iPhones that are available to buy outright form Optus – you’ll pay $912 upfront, or four payments of $228. If you liked the size of the iPhones of yesteryear, but still want the latest tech, the iPhone 6 may be up your alley. Boasting a 4.7 inch screen, the 6 is a budget-friendly alternative to the newer, bigger iPhones, although may not have the longest update life if you’re planning to hold onto your phone for a few years. Premium phone plans for the iPhone 6 are still available, so you’re not necessarily left out in the cold. Should I get an Optus iPhone plan? Optus is one of the premier providers of iPhone plans in Australia – and its base prices are some of the cheapest in the country as well. iPhone X and iPhone 8 plans can be found for about $80 or so a month, though they quickly climb up to and over $100 a month. However, for the price you pay, Optus throws in quite a lot, such as Optus Sport, data-free music streaming, unlimited international calls & texts and other goodies from time to time. And, against its main rival Telstra, Optus often works out slightly cheaper for an equivalent plan. Optus pretty much has it all – from data to streaming, to sport to generous international calls & texts. For a competitive iPhone X or iPhone 8 phone plan, Optus is well worth a look into.